(CNN) -- Ever feel like you live in a bubble? Our whole solar system appears to, say space scientists, who published work last month corroborating its existence. And, oh, what a bubble it is: About 300 light years long (about 1,764,000,000,000,000 miles), and its walls are made of hot gas. How hot? About a million degrees. It's called the "Local Bubble" or "local hot bubble" and is shaped a little like a peanut. Scientists believe it was formed by supernovas, the largest explosions in space, as NASA calls them, that occur when a large star blows up. One supernova blasts out more energy in less than a second than our sun gives off in a million years, NASA says. A single explosion can outshine an entire galaxy. They usually occur about twice a century. But about 10 million years ago, a slew of them exploded right near our solar system. 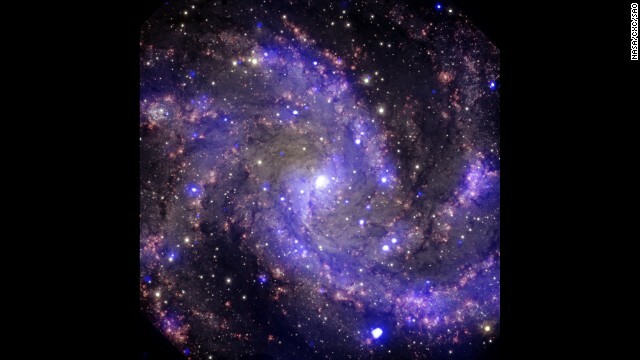 In honor of American Archives Month, NASA has released a selection of eight never-before-seen images from the Chandra X-ray Observatory, a telescope in space. This image is of a galaxy, NGC 4945, that is about 13 million light years away from Earth. 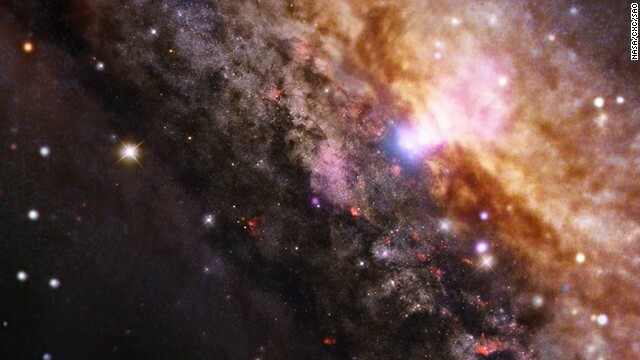 It looks like the Milky Way, but it contains a supermassive black hole within the white area near the top of the image. When radiation and winds from massive young stars impact clouds of cool gas, they can trigger new generations of stars to form. 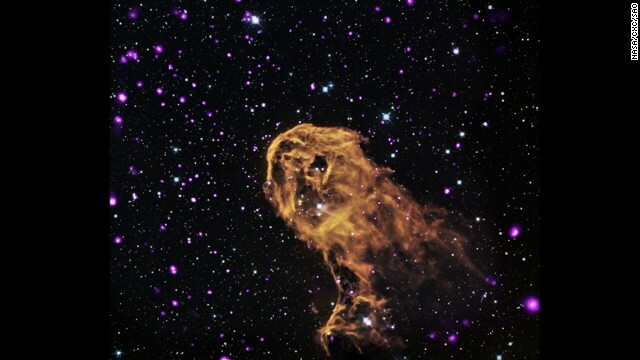 This is what might be happening in this object, known as the Elephant Trunk Nebula. 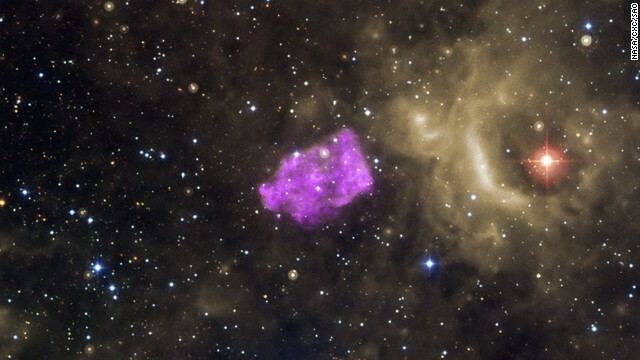 This galactic supernova remnant, known as 3C397, has an unusual box-like shape. Researchers think that is because the heated remains of the exploded star are running into cooler gas. This supernova was likely produced by the collapse of a star's central core. 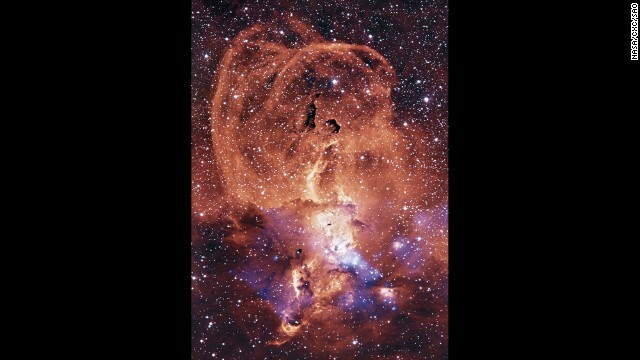 This region of glowing gas, in the Sagittarius arm of the Milky Way, is about 9,000 light years from Earth. In the past century, eight supernovas have been observed in the arms of NGC 6946, a galaxy about 22 million light years away from Earth. 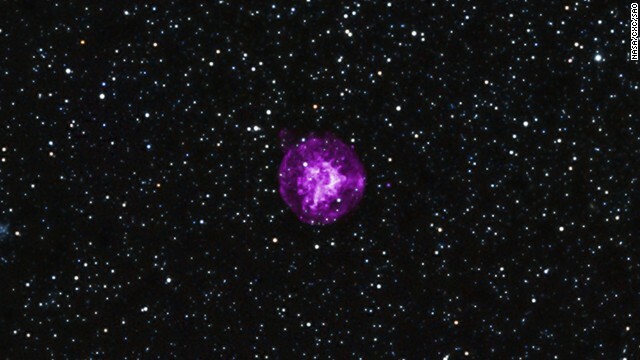 NGC 6946 is also nicknamed the "Fireworks Galaxy." This image was produced by the explosion of a massive star in the Milky Way. 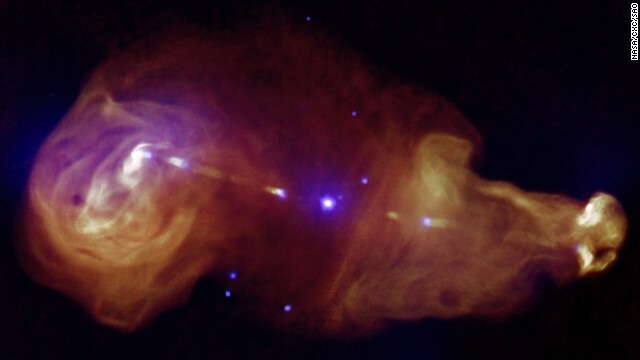 Giant plumes of radiation are seen near galaxy 3C353, the tiny point at the center of this image. 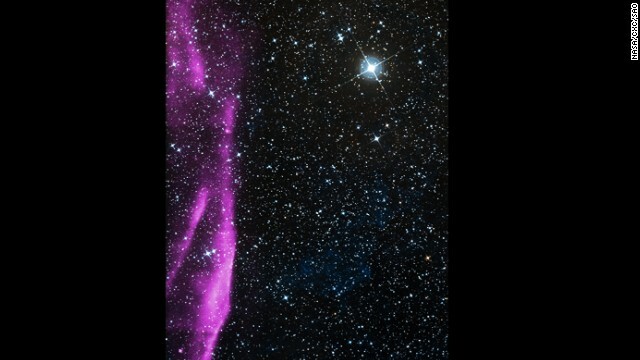 "Supernovas went off like popcorn," NASA says. In a universe about 13.8 billion years old, that's a recent event. Humans did not yet walk the Earth back then, but monkeys did. Those supernovas may have sent our evolutionary ancestors running scared, but they weren't enough to annihilate them. Fast forward 10 million years to the 1970s and 80s, when humans first began noticing what they'd later postulate was the bubble. They were aiming more advanced telescopes at what's called the interstellar medium. Between the planets and the stars of our galaxy is not just empty space. There are gasses, dust, ions -- and more -- sweeping around. When astronomers poked around in our solar system for it, they found little to nothing. It was like we were living in a virtually empty hole, one that has only a single atom per every liter of space. Around the same time, sensors launched outside of Earth's atmosphere revealed an abundance of something else coming from all directions -- x-ray radiation. So much interstellar medium was gone, because the exploding supernovas have blown it away, and and left us surrounded with their remnants of radiating gas. 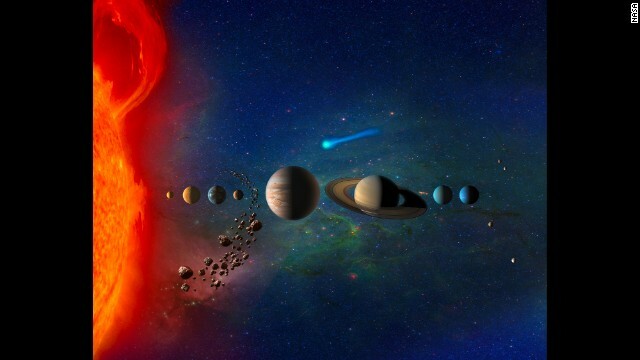 But some scientists, in recent years, cast doubt on the Local Bubble model, saying the radiation could be the result of "charge exchange" -- passing solar winds stealing electrons and thereby emitting x-ray radiation. Scientists from the University of Miami in Coral Gables picked up the gauntlet and developed a sensor to measure charge exchange radiation and fired it out of Earth's atmosphere atop a small NASA rocket two years ago. It only took about five minutes for the detector to take a reading. Analyzing the data, the scientists determined that only 40% of the background x-ray emanates from within our solar system. The rest of the glow, they say, must come from the searing gaseous walls of a big bubble we live in.